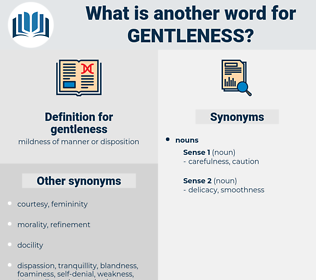 What is another word for gentleness? Sweetness, kindness, smoothness, delicacy, friendliness. penalty, Implacability, vengeance, sternness, punishment, steepness, revenge, harshness, severity, rigor, precipitousness, justice, cruelty. From him chiefly we learn to add to our thought of perfect love and gentleness that of One whom the zeal of God's house ate up. He touched the blossoms and spoke with great gentleness. 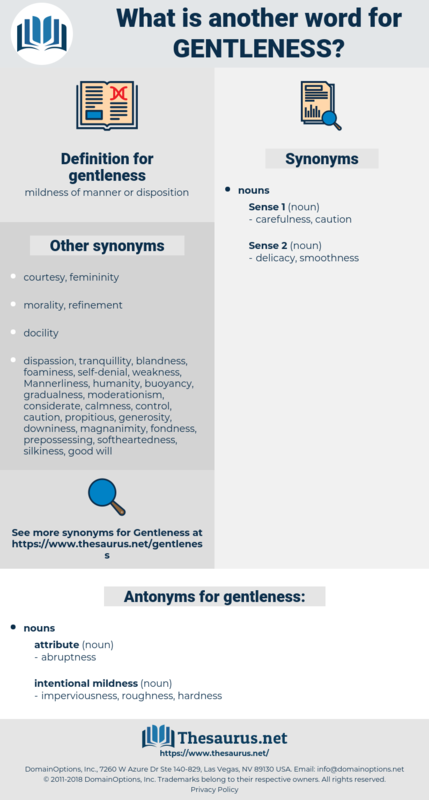 personal manner, gradient, slope, manner.